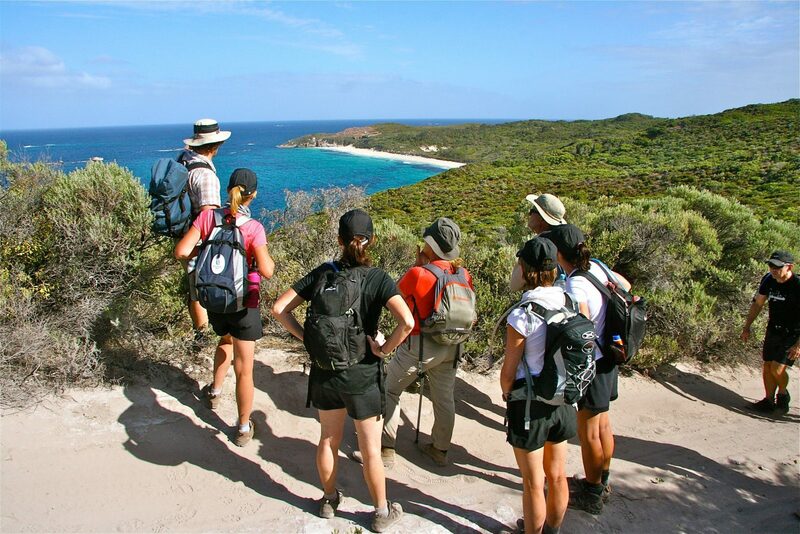 Cape to Cape Explorer Tours is an award-winning, Margaret River company that specialises in providing memorable experiences on Western Australia’s premier coastal hike, the Cape to Cape Track. 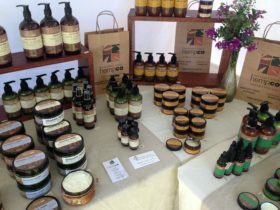 Cape to Cape Explorer Tours has an extensive range of both guided and supported self-guided tour products. 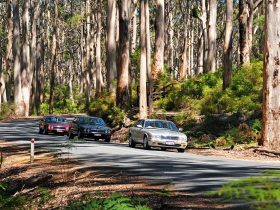 Whether you are looking for half-day or full day tours in the Margaret River Region or you are interested in hiking the Track from end-to-end, their experienced team will ensure that your experience is unforgettable. Creating custom packages for private groups, Cape to Cape Explorer Tours can cater for your group’s specific wants and needs on your Cape to Cape experience. Cape to Cape Explorer Tours also specialise in facilitating team building, leadership and respite programs for corporate groups. By linking to the Australian curriculum and reconnecting people with nature, they also offer programs for youth and school students of all ages. With professional guides who have been surfing, fishing, foraging and hiking their local environment all their lives – nobody knows local spots, stories, food and wildlife better than Cape to Cape Explorer Tours. 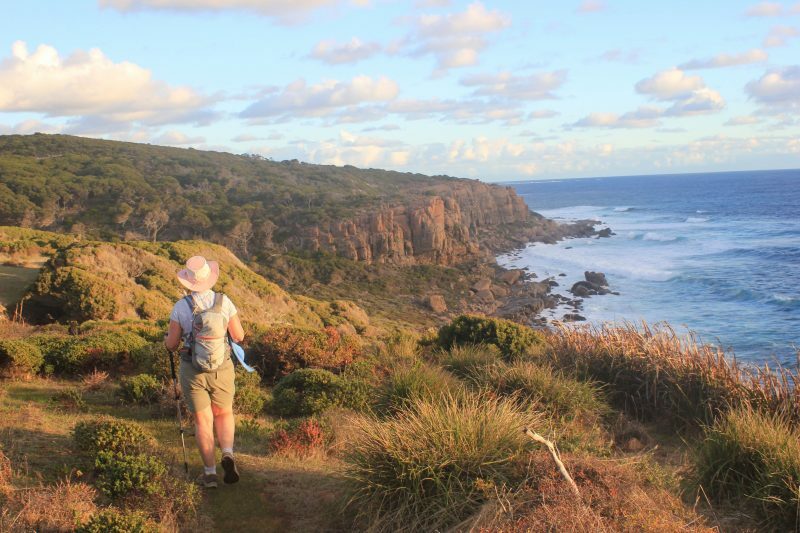 Want to hike the Cape to Cape Track with the potential to either enjoy the delicious dining options in Margaret River region, or the use of your kitchen facilities to create comforting home cooked meals? 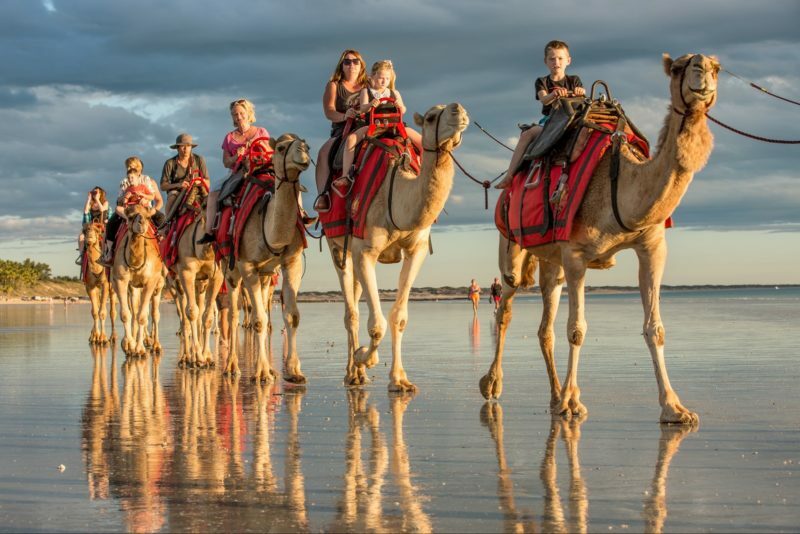 Then the Self Catered Explorer tour is for you, staying in great coastal villas and apartments at the Smith’s Beach and Prevelly and completing the entirety of the track at a leisurely pace. Unique welcome session with Cape to Cape Explorer Tours to learn about the unique geology, flora and fauna with an insightful induction at the head of the track. Seven days self-guided walking with state of the art tracking service and emergency support. Seven nights’ accommodation in comfortable coastal villas with amazing views of Smiths Beach and fantastic amenities at the 4 Star Margaret’s Beach Resort. Vehicle transfers between the track and accommodation. Included are Cape to Cape Explorer Tours daily custom track notes and complimentary copy of Jane Scott’s Cape to Cape Track guide book. All planning, logistical, administrative and on-ground support. Daily check-ins and tips from their local staff. 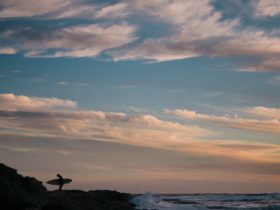 The Margaret River region offers one of the most spectacular, untouched stretches of coastline in the world. Experience the power of the Indian Ocean and the unique and pristine flora and fauna of the Region on a morning of hiking the Cape to Cape Track. After working up an appetite, indulge the senses at Margaret River’s founding wine estate, Vasse Felix. 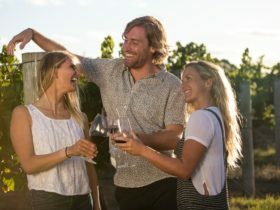 The Epicurean Tour takes you behind the scenes on winemaking at the estate, sharing unique historical insights into the Margaret River Wine Region, followed by an in-depth tasting of the Vasse Felix Collection. Take your new wine knowledge with you into the world of food and wine pairing at the Vasse Felix Restaurant. Discover local produce and the philosophies that guide the Vasse Felix chefs in creating dishes to accentuate the region’s wines. Enjoy a three course set menu and matched wines, before selecting your choice of a bottle of Vasse Felix Premier wine to take away and share with your friends and family. The experience completes with a walking journey through the original vineyards of Margaret River, learning about the unique geology and climate of the region that defines the wines of Vasse Felix. Experience the full diversity of the Track with an adventure of a lifetime on a Cape to Cape End-to-End Ultimate Experience. Journey over 135 kilometres along the spectacular coastline from Cape Naturaliste to Cape Leeuwin sharing insights and knowledge with Track specialists, Cape to Cape Explorer Tours. Now staying in luxury accommodation at Margaret’s Beach Resort. Your walk includes stunning and wild coastal landscapes, physical challenge, new friendships and gourmet evening meals await you. Experience the finest local produce including Lamont’s Cafe, The Common, Cape Grace Wines, Vasse Felix Estate, Margaret River Farmer’s Market, The Larder, an evening caving expedition to an iconic Margaret River cave and a five-course degustation at Margaret River’s number one restaurant, Miki’s Open Kitchen. Their professional, local guides have extensive knowledge and experience interpreting the natural beauty of the Track. And you can enjoy all this long distance walk has to offer without carrying a heavy pack. You will journey a total of 135 kilometres, walking 14 to 23 kilometres per day for seven days. You will stay at a central base at Margarets Beach Resort. Join Cape to Cape Explorer Tours for a full day out on the Cape to Cape Track! In Spring 2017 they will have guided walks running each week from 9 September until 11 November. They will be hiking north to south along a different section of the Track each of day during these dates and they are inviting you to join in. Each day their professional and experienced guides will be covering a particular theme, giving you the opportunity to not only completely immerse yourself in nature, but also learn some in-depth knowledge about the region in which you are hiking. Fully-guided full day supported hike on the Cape to Cape Track between 16 to 25 kilometres; including exploring coastline, rock pools, waterfalls, wildflowers, wildlife, bush foods and cultural history. Opportunity to swim in pristine ocean shallows where ocean conditions are suitable. Enjoy a fresh and delicious local packed lunch and track snacks as part of the journey. *Pickup and drop off to your accommodation may be arranged at the time of booking subject to availability. Bring along: Backpack, three litres of water, hat, sunscreen, suitable closed in footwear, swimmers, towel. Experience the full diversity of the Track with an adventure of a lifetime on a Cape to Cape End-to-End Camping Experience. Journey over 135 kilometres along the spectacular coastline from Cape Naturaliste to Cape Leeuwin sharing insights and knowledge with Track specialists, Cape to Cape Explorer Tours. This experience is based at the awesomely located Prevelly Campground, under a canopy of Peppermint Trees and right near the beach. Enjoy your own private tent, comfortable bedding, a private camp kitchen just for this group, and shared bathroom facilities. Your walk includes stunning and wild coastal landscapes, physical challenge, new friendships and gourmet evening meals await you. Experience the finest local produce including Lamont’s Cafe, The Common, Cape Grace Wines, Margaret River Farmer’s Market, The Larder, an evening caving expedition to an iconic Margaret River cave and a five-course degustation at Margaret River’s number on restaurant, Miki’s Open Kitchen. You will journey a total of 135 kilometres, walking 14 to 23 kilometres per day for seven days. You will enjoy fully catered camping at Prevelly Caravan Park. Want to see the very best of the Cape to Cape Track, stay in gorgeous coastal accommodation, enjoy fresh catering from the Margaret River region and not have any single walk day more than 22 kilometres long? Then this is the Cape to Cape self-guided tour for you. Seven daily continental style breakfast, seven daily gourmet lunches and four gourmet dinners. 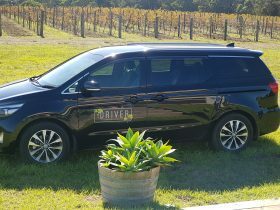 Like to experience the very best four sections of the Cape to Cape Track, averaging 15 kilometres per day and enjoying great lodgings and Margaret River food cuisine? Then the self-guided Four Day Cape to Cape Highlights Tour is for you! Welcome session and introduction to the Capes Region with the local Track Specialists to learn about the unique geology, flora and fauna; an insightful induction at the head of the track. Four days self-guided walking with a satellite device and emergency support. Two nights’ accommodation at Chandlers Smiths Beach Villas and two nights’ accommodation at the Margarets Beach Resort. Two gourmet dinners from some of Margaret River’s best gourmet food pantries. The other two nights you can choose to dine at ‘Lamonts‘, ‘The Common‘ or wherever else you like. Vehicle transfers between the Track and your accommodation. Daily continental style breakfast, lunches and track snacks. Custom Track Notes and a complimentary copy of Jane Scott’s Cape to Cape Track Guidebook. Daily check-ins, information and tips from the local guides. This exhilarating three-hour journey begins with the opportunity to spot wild Western Grey Kangaroos grazing the plains, marvel at giant Karri trees in the Boranup Forest, and view the sunset at one of the most stunning vistas on the acclaimed Cape to Cape Track. Dusk in the doline (collapsed chamber that forms a cave entry) is an enchanted time, with abundant forest birdlife singing out in the giant old growth karris that tower over head. Participants then have the chance to explore the underground wonderland beneath the Boranup Forest via torch light and helmet, while learning about the unique history and geology of an amazing limestone cave famous for its enormous wide open chambers and adventure sections. Sunset viewing on one of the most spectacular sections of the Cape to Cape Track. A 700 metre forest walk. Opportunity to spot wild Western Grey Kangaroos in their native environment. All equipment and tuition with accredited and friendly guides. Light snacks and drink (local non-alcoholic soft drink, cheese, dips and crackers). You will need to bring water, clothing and enclosed footwear suitable for caving. 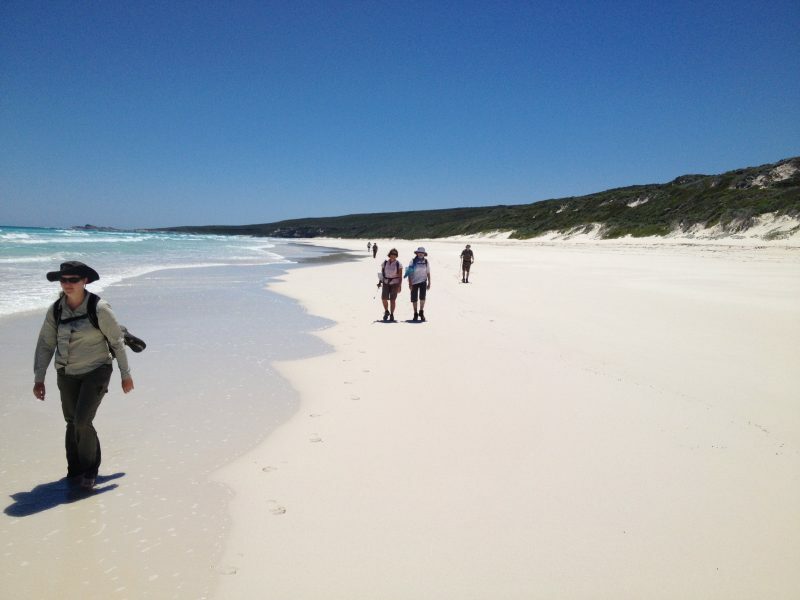 Join Cape to Cape Explorer Tours for a three day coastal experience on the most spectacular sections of Western Australia’s premier coastal long distance hike, the Cape to Cape Track. Stay in 5 Star luxury coastal accommodation, enjoy gourmet catering from world renowned Lamont’s Restaurant and Cafe along with some of Margaret River’s very best providers. Three days self-guided walking with a satellite device and emergency support; all support staff carry first aid and communications equipment. Three nights’ accommodation at 5 Star Smiths Beach Resort. Lamonts Gourmet Breakfast Hampers, daily lunches and three gourmet dinners. Daily check-ins, information and tips from our local guides. Experience the full diversity of the Track with an adventure of a lifetime on a Cape to Cape End-to-End Classic Guided Experience. Journey over 135 kilometres along the spectacular coastline from Cape Naturaliste to Cape Leeuwin sharing insights and knowledge with Track specialists, Cape to Cape Explorer Tours. Wildflower season (August to November) is the ultimate time to experience the incredible biodiversity of this region. Every shade and shape of flower can be found, and each offers a glimpse into the deeper story of this region’s ecology and geology, which the professional guides will share with you. Why is the Capes region a hotspot for carnivorous plants and orchids? See the awesome trigger flowers in action! As you explore the banks of the Margaret River, your expert guide will share with you the fascinating properties of not only the surrounding wildflowers, but also bush plants, the bizarre creatures that dwell in the river (such as the endangered Hairy Marron and the prehistoric vampire fish), and the story behind the failed seduction that gave this town its name. 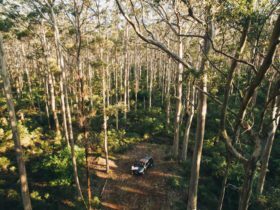 Begin at the Hairy Marron Cafe (at Rotary Park, just 100 metres from the Visitors Centre) and head through the old settlement before winding under a forest canopy along the glistening Margaret River, and dipping your toes in the water. Return to the Hairy Marron Cafe at the end to relax with a coffee or whatever takes your fancy (own cost).